For any business today, data protection is a top priority. Whether this is through safeguarding against viruses and hacking attempts or ensuring all files and applications are safely backed up on a regular basis, it’s important to have procedures in place. Here are some of the top things every business should consider when safeguarding data in today’s cloud-driven business environment. Third-party cloud providers are giving businesses a new choice when it comes to data storage and security. For a small monthly fee, a business can send all or part of its operations to the cloud, where files can be accessed from any internet-connected device, including smartphones and tablets. Services like Dropbox and Carbonite automate the backup process, ensuring every time a file is updated, that updated version is synced to the cloud. Every piece of equipment a business uses has a shelf life. When it’s time to retire a PC or smartphone, you’re probably faced with a dilemma. Even if you take every effort to erase all of the files on a device, how can you be sure something won’t remain? Through using applications like KillDisk or procedures such as degaussing, you can make sure your hard drives are completely erased. If you are disposing of a tablet or smartphone, you’ll want to remove any SIM and micro SD cards to prevent data from falling into the wrong hands. Even if you’ve taken every measure possible to protect your data, savvy hackers may find a way into your enterprise through your server or one of your devices. 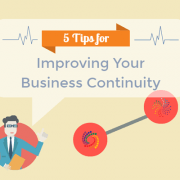 It’s important to ensure your firewalls and virus protections are operating at optimum capacity, with regular updates and cross-checks. You should also implement strict password standards for your employees to prevent someone from getting in by guessing a password. Data protection is one of the most important issues facing business today. 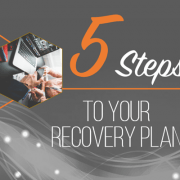 By taking a few steps to ensure you’re protected, your business can prevent a data breach or loss of important files and keep customer information safe. 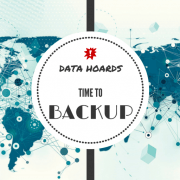 Data Hoards, Time to Backup!